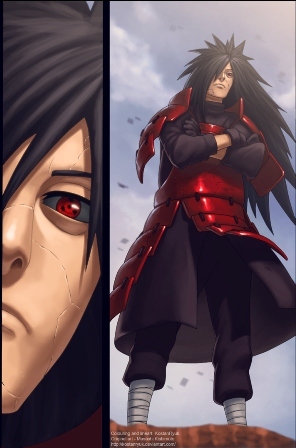 Now that the real Madara Uchiha has appeared, the big question now is “”who in the world is the man behind the mask?“” Who is really Tobi? This leads into another sets of speculation. 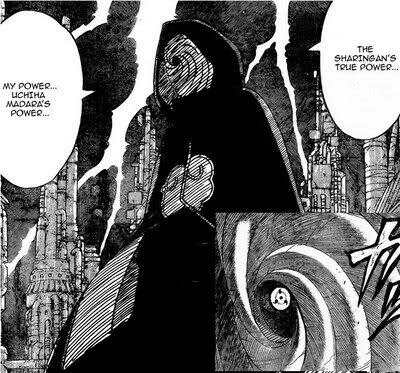 Now that the theory that he is the “”real”” Madara is crossed out, this leaves that Tobi might be another person or a clone. UPDATE: I also have a strong feeling that Tobi is DanzÅ Shimura. 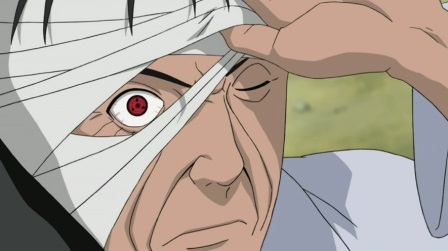 When Tobi revealed his Sharingan to Sasuke, he really look like Danzo. Also they are about the same age.